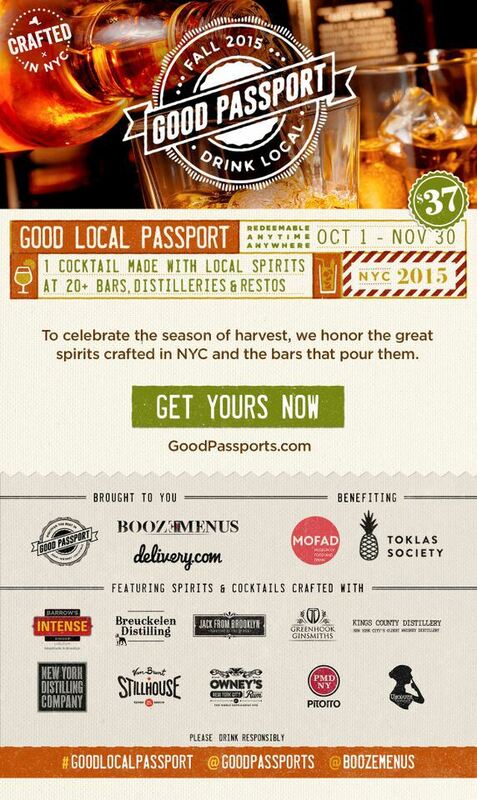 By purchasing the Good Local Passport, you’ll get one cocktail, featuring one of the participating local distillers, at every location. Each participating location will offer you the choice of at least 1 of 2 cocktails featuring a spirit from one of the local producers. All passport holders are invited to sign up for the kick off party on October 3rd which includes drink samples and bites. Tags: Booze Menus, cocktails, drinks, Good Passports, nyc, spirits. Bookmark the permalink.